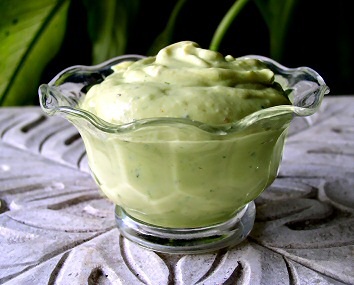 Basil lime creme sauce can be used hot or cold, see recipe page for great ideas! Add all ingredients to a food processor and give it a a good blend until creamy. Transfer to a bowl to be covered and chilled in the fridge. * Serve hot with noodles, fish, or chicken, cold with veggies as a dip or even use as a salad dressing.